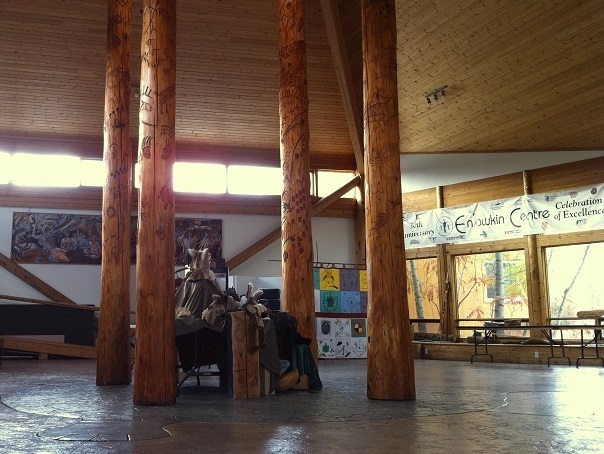 Located on the Penticton Indian Band reserve, in BC's Southern Interior, En'owkin Centre's unique building design reflects our traditional syilx winter home. Book our unique facilities to host your next venue: Our expertise is to assist you to host your professional retreats, meetings and events. We are equipped with a full kitchen, restroom facilities and additional meeting rooms/seasonal space outdoors. The En'owkin Centre offers a unique cultural space and for conferences, exhibitions, film screenings and workshops. 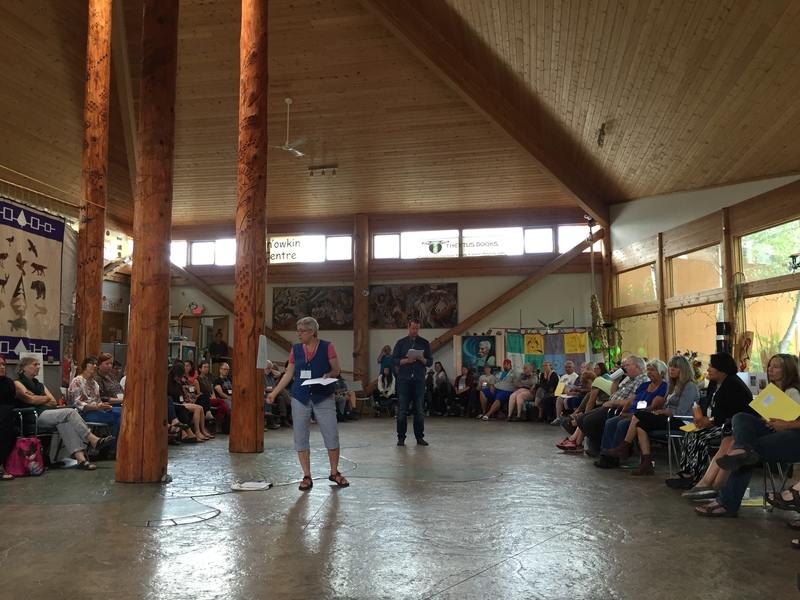 The En'owkin Centre facility has a large circular gathering space seating approximately one-hundred and fifty (150) people. The concept design replicates the original underground housing of the syilx people. Centrally located are four poles carved and painted with pictographs commemorating the Four Food Chiefs. The turtle design etched on the beautifully painted floor tiling honors Syilx ceptikw. The En'owkin Centre is located on the Penticton Indian Reserve. The En'owkin has a unique and diverse eco landscape surrounding the exterior of the facility. 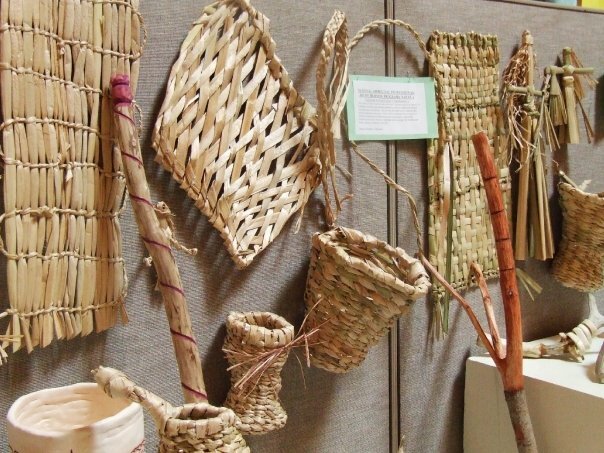 Traditional Indigenous foods are located throughout the En'owkin Centre gardens. We feature a outdoor grill hand crafted with Indigenous stone. 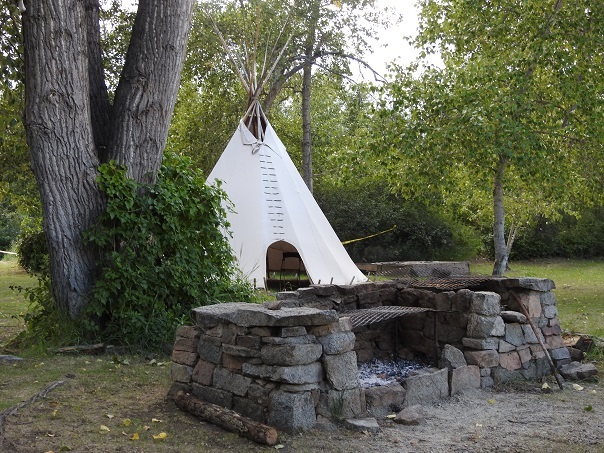 Our outdoor storytelling fire pit is shared by many visitors. The gardens include trails, walkways and a nearby creek. The En'owkin Centre gardens is an array of Indigenous foliage landscaping utilizing the ecosystem and restoring the landscape back to its natural state. It is a breath taking organic backdrop for your events. 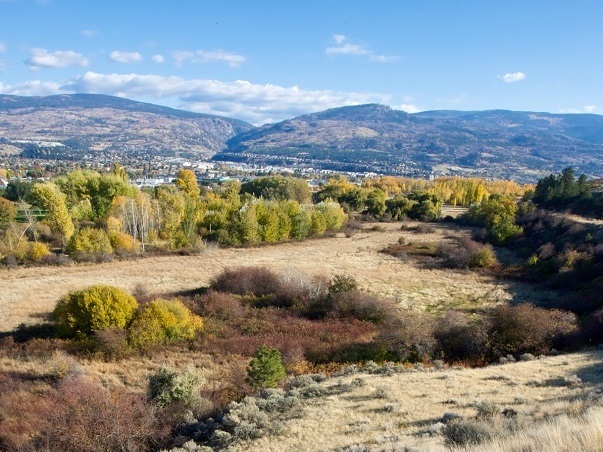 ECOmmunity Place is located on the west side of the Okanagan River floodplain and is a site which encompasses approximately one-hundred (100) hectares in the City of Penticton. Within this site there are four separate eco niche areas including the protected black cottonwood riparian stand, marsh/ wetlands, grassland meadows and desert sand hillsides. Inhabiting several indigenous and endangered species including: Great Blue Heron, Tiger Salamander, Painted Turtle & Great Horned Owl. En'owkin Centre Hours Of Operation are from Monday to Friday from 9:00 AM - 5:00 PM.